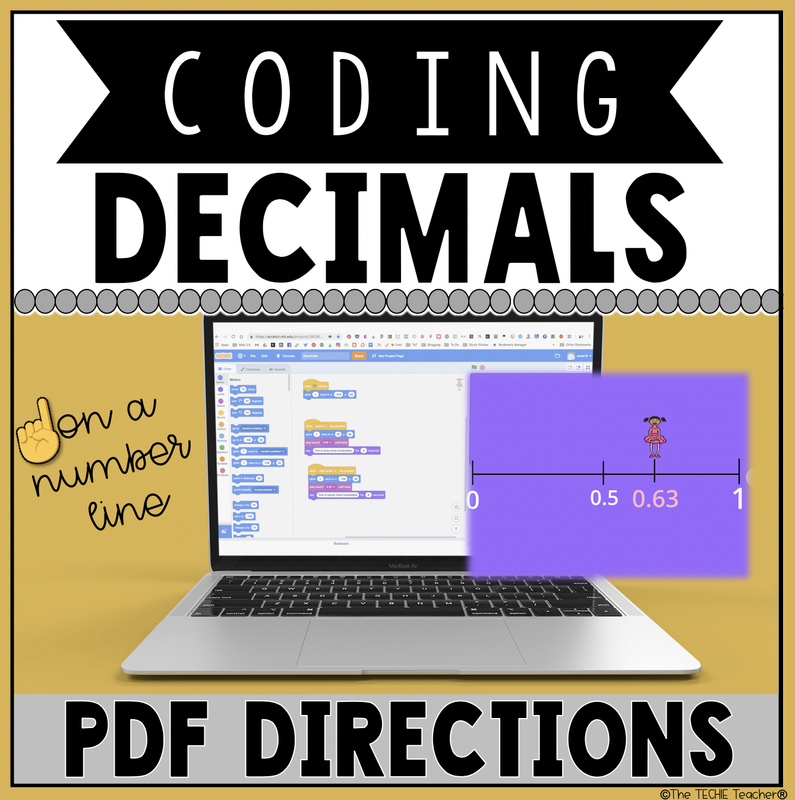 Coding Decimals on a Number Line | The Techie Teacher® . Last week our #TechTakeout crew visited 4th grade at one of our elementary schools to work on math review. After meeting with the Math Title I teacher, it was evident that decimals were a weak skill for this grade level. 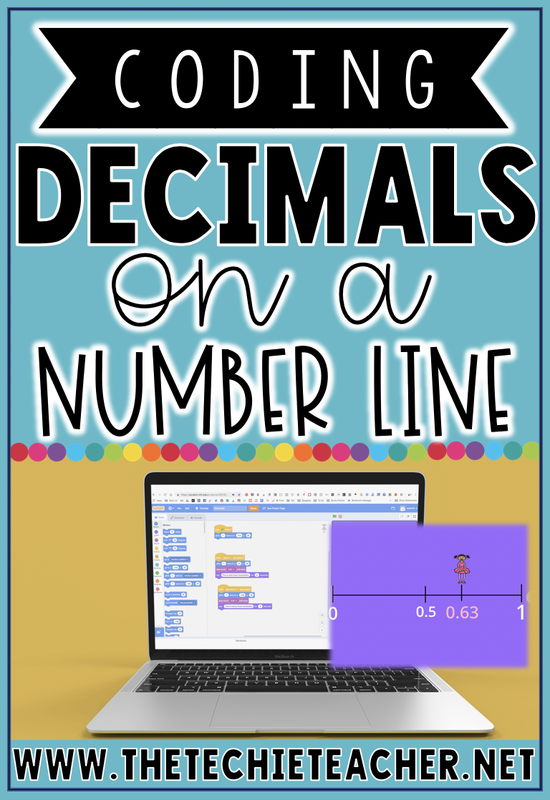 Therefore my coworker, Jim Covais, and I teamed up to create a fun activity to work on identifying decimals on a number line. We decided to use Scratch to code a sprite (character) to move across a number line of decimals between 0 and 1. Students created their own background in which they had to generate their number line with the drawing tools and divide it into fractional parts. We assigned each student a decimal number that they had to correctly identify on their number line by marking it with a hash mark. Students used the coding blocks to make their sprite move to different parts of the number line in which a recording of their voice saying the decimal's name was included. Furthermore, students got to practice typing the word form of their decimals into the speech bubble that they programmed to pop up.